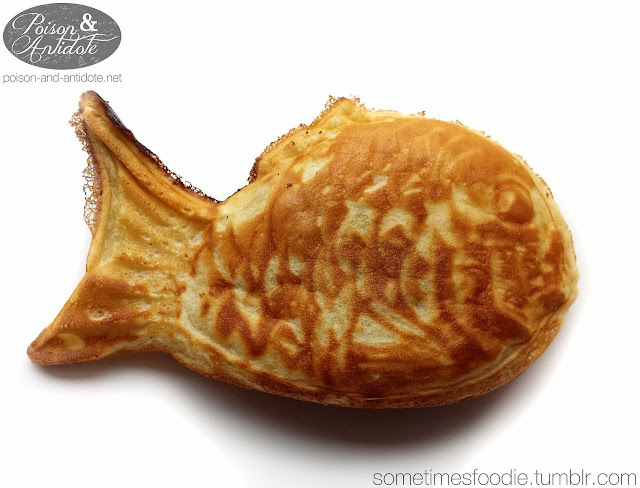 Sometimes Foodie: Taiyaki for breakfast! My boyfriend has been wanting to make taiyaki for ages! He went online and ordered the special fish-shaped pan just so we could make some. ** You can use whatever filling you’d like. If you don’t have red bean paste, try Nutella, or peanutbutter, or marshmallow fluff…the possibilities are endless! The finished product is a warm, fish-shaped, cake filled with creamy bean paste. It’s texture is similar to a pancake, light and fluffy, which would work well with fruity fillings.